North Texas farmers expect this summer to be more profitable than last summer. 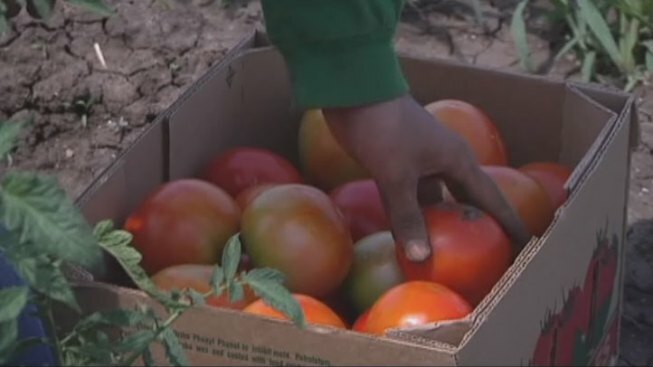 The mild winter and recent rainfall helped produce a plentiful crop for many farmers in the region. Keith Copp, who farms in Denton County, said local produce is plentiful. "If you're a tomato lover, you're going to love this season," he said. Copp is busy harvesting his tomato crop and said he is enjoying the extra work. The workload is welcomed following last year's devastating heat and drought, when many farmers were ready to give up. "It was enough to make you want to throw your hands up and run away," Copp said. The start of this season has restored hope. Copp harvested about 25 boxes of tomatoes last summer and is tripling that number on a daily basis this season. He said the only problem right now is finding enough places to sell all of his tomatoes. Tomatoes aren't the only crop bouncing back. "Tomatoes are coming in really well; so are squash, zucchini, cucumbers, berries, blackberries," Copp said.